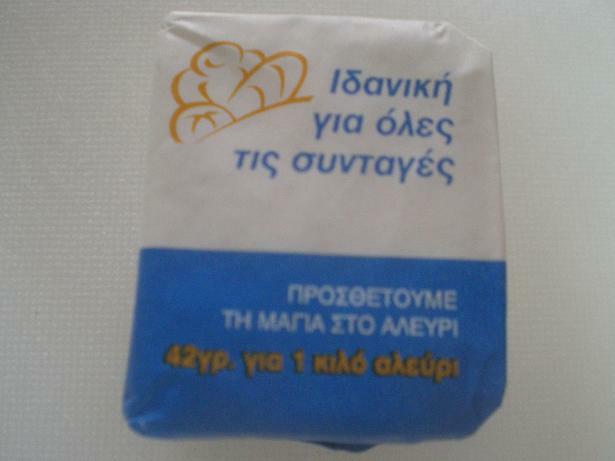 Roxakia are Greek vegan, bicoloured, yeasted dough cookies, which after being baked are drenched in syrup. The original recipe is not vegan as it requires eggs and milk in the dough. I have made my own Lenten version with no milk and no eggs and they were even better than the original ones. The dough is not just a simple dough but after it rises the dough is divided and half of it is mixed with cocoa powder and walnuts but as I prefer pecans to walnuts, I used pecans. Finally when I baked the cookies I made a syrup in which I used leftover syrup from an orange spoon sweet I made (similar to Bergamot) and that gave an extra taste and flavour to these cookies. However, you can still make a simple syrup as in the original recipe. It’s only a few days before Easter and this is the week we have so many things to do at home. 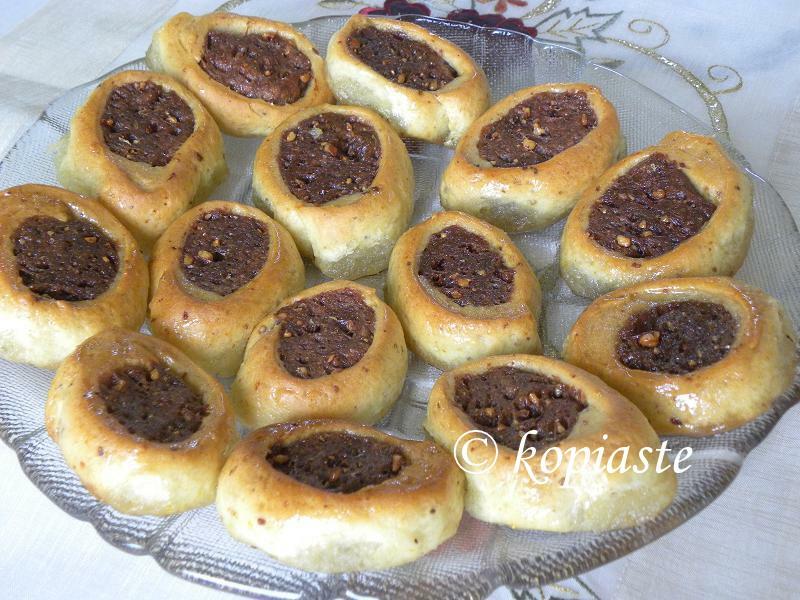 Today, I am preparing Tsourekia and tomorrow I will be dying the Easter eggs and making the traditional Cypriot Easter Cheese breads, called Flaounes. Until Easter, I will post a few more recipes but I don’t know if I will have the time for commenting on blogs. I shall read your posts from my reader when I take short breaks to rest. Easter time is a period of fasting. During the 48 days of the fasting period, animal products are not allowed in the Orthodox fasting rules except for products not containing blood, like seafood or honey. Fish is also not allowed, except on the Annunciation of the Holy Virgin (25th March) and on Palm Sunday. Forty eight days is a long time and although other years I have fasted the whole period, this year we have fasted only the first week of Lent and have started again since Monday. This year the Orthodox and Catholic Easter coincide and will be celebrated on the same day and although there are some differences regarding fasting, I am sure this is a dessert which will be enjoyed by all. When I posted the Buns made with Tangzhong starter, I had some questions regarding the amount of yeast used. The amount of yeast used in that recipe may seemed a lot but that yeast was bought from my local bakery and the amount of yeast used was satisfactory. I am not sure if it is different to the one sold in supermarkets but when I made them again I bought the one sold in the supermarkets. I followed the instructions on the package which was 42 grams yeast for 1 kilo of flour and again the quanity used was satisfactory. I have made a note in the Tangzhong recipe just to clarify matters regarding the yeast. Prepare the syrup. In a small saucepan mix all the ingredients together. Bring to a boil and simmer for 3 minutes. Dissolve the yeast with a tablespoon flour, sugar and water. Cover and leave it to bubble for about ten minutes. Grind the spices in an electric spice grinder or with a pestle and mortar. Attach the dough hook to your mixer and put the flour, yeast mixture, olive oil, margarine, orange zest, spice mixture, orange juice and water and mix on low speed until the dough is ready and does not stick on your hands or mixer bowl. Divide the dough in two parts. One piece should slightly bigger. Set aside the biggest part (350 grams) and cover with a table napkin. In the second piece (300 grams) add cocoa, cinnamon and pecans and mix on low speed. Add water a few drops at a time (not more than 1 teaspoon) and mix until the ingredients are well incorporated. Take the dark dough and make a long cord. Divide it in two pieces and each cord make it into a roll to fit inside the white dough. Wrap it with the white dough to make a long roll. Take a sharp knife and cut each roll into small pieces about 1 ½ cm (just more than ½ an inch). Turn them over so that you can see the two colours and with your fingers press them to become about 1 cm thin. Grease a large baking tin 33 x 40 cm (13.5 x 16 inches) and place them on the baking tin. Cover and let them rise for about half an hour. Remove from the oven and while they are still warm (after five minutes) pour the syrup, which should also be warm, over them. Set aside until the syrup is absorbed. Most people will be going away to celebrate Easter with their familiies so I am wishing you all a Happy Easter and as we say in Greece Kali Anastasi. those cookies must be very flavorful! A real treat! Kali Anastatsi Ivy! These look delightful! I have really been enjoying your Lenten sweet recipes over these last few weeks. All the best! look very good your cookies and full of orange flavours,oh,yummy! Scrumptious cookies, I love the orange flavor! The cookies look very nice. And I like the way you adapted the original recipes using orange and flax seeds. Happy Easter to you and your family! Your cookies look fantastic! And, your lenten adaptations worked perfectly. Happy Easter to you! First time here !! Lovey most of your recipes !!! Would love to try them !!! Filled cookies with orange syrup and flax seeds sound HEAVENLY! Happy Spring and Easter to you Ivy from me and my family! Lovely looking cookies, i am sure they taste good as well! ilike all the flavours olive oil cocoa, orange …. MMmmmm! Avec ce qu'il y a dedans, ces biscuits doivent être excellents.